Yeast. It is a fungi that is used to make bread rise and ferment beer, but it can also cause some pretty nasty infections in and on the human body. A yeast infection likely makes you think of the type that affects women. There is, however, a different kind of yeast infection that can cause white patches on your skin. Tinea versicolor is a common fungal infection that can cause white patches on the skin, and it is caused by an overgrowth of yeast. It frequently occurs in teens and young adults, but it is possible for anyone to get it. If you’re noticing white patches on your skin, and aren’t sure how they got there, visit a FastMed Urgent Care near you. Symptoms of tinea versicolor can typically be treated by over-the-counter antifungal medication, but if it doesn’t respond to treatment, you may need prescription antifungal creams, lotions, or shampoos. 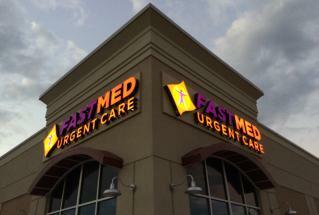 If you have white patches on your skin and want to get rid of them, start by visiting your local FastMed Urgent Care. Our walk-in clinics are open for extended hours 365 days a year, so you won’t have to make an appointment or wait for hours on end in the ER.